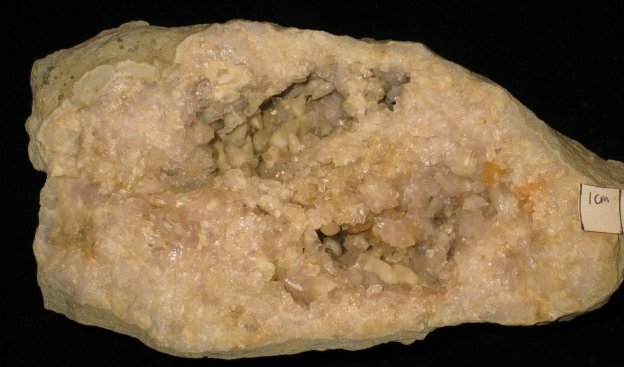 Amethystine quartz with calcite in a geode. Collected in the early 1980's from the southern end of the railroad cut. Specimen G100 in the collection of the photographer, Alan Goldstein.